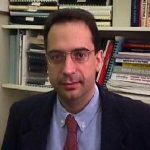 Speaker Bio: Dr. Dimitris Metaxas is a Distinguished Professor in the Department of Computer Science at Rutgers University since July 2007. From September 2001 to June 2007 he was a Professor in the same department. He is currently directing the Center for Computational Biomedicine, Imaging and Modeling (CBIM). From January 1998 to September 2001 he was a tenured Associate Professor in the Computer and Information Science Department of the University of Pennsylvania and Director of the VAST Lab. Prior to this he was an Assistant Professor in the same department since 1992. Prof. Metaxas received a Diploma in Electrical Engineering from the National Technical University of Athens of Athens Greece in 1986, an M.Sc. in Computer Science from the University of Maryland, College Park in 1988, and a Ph.D. in Computer Science from the University of Toronto, Ontario, Canada in 1992. 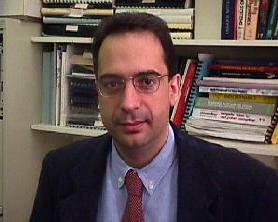 Dr. Metaxas has been conducting research towards the development of formal methods upon which both computer vision, computer graphics and medical imaging can advance synergistically. In computer vision, he works on the simultaneous segmentation and fitting of complex objects, shape representation, statistical model-based tracking, learning, sparsity, ASL and gesture recognition. In particular he is focusing on human body and shape motion analysis, human surveillance, security applications, ASL recognition, behavior modeling and analysis and scalable solutions to large and distributed sensor-based networks. In the area of biomedical applications new methods have been developed for material modeling and shape estimation of internal body parts (e.g., lungs) from MRI, SPAMM and CT data, a pioneering framework for linking the anatomical and physiological models of the human body and deformable models suitable for the automatic diagnosis of heart illness from MRI data. In computer graphics, he introduced the Navier-Stokes methodology for Fluids, based on which the water scenes in the movie ”Antz” were created in 1998. For this work, his student Nick Foster won a Technical Achievement award from the Academy of Motion Picture Arts and Sciences in 1999. Since then, he is working on new techniques for modeling fluid phenomena, and control theoretic techniques for automating and improving the animation of articulated (e.g., humans) objects. Dr. Metaxas has published over 500 research articles (see google scholar) in these areas and has graduated 42 PhD students. The above research has been funded by NSF, NIH, ONR, AFOSR, DHS, DARPA and the ARO. Dr. Metaxas has published a book on his research activities titled ”Physics-based deformable models: Applications to computer vision, graphics and medical imaging” published by Kluwer Academic. He organized the first IEEE Workshop on Physics-Based Modeling in Computer Vision, he is on the Editorial Board of Medical Imaging, as Associate Editor of GMOD, and CAD and is a Co-Editor of the Special Issue of Computer Vision and Image Understanding on Physics-Based Modeling and Reasoning. Dr. Metaxas has received 7 patents and numerous best paper awards for his work on vision, medical imaging and fluid modeling. His student Junzhou Huang won a Young Scientist Award (best paper award) for his work on sparsity from MICCAI 2010 and his recent work on Histopathologic Image Analysis by his student Menglin Jiang and Shaoting Zhang won a best paper award at MICCAI 2015. Dr Metaxas was awarded a Fulbright Fellowship in 1986, is a recipient of an NSF Research Initiation and Career awards, an ONR YIP, is a Fellow of IEEE and a Fellow of the American Institute of Medical and Biological Engineers, and a member of ACM. He was also the Program Chair of ICCV 2007, a General Chair of ICCV 2011, and CVPR 2014, the General Chair of MICCAI 2008 and the Senior Program Chair for SCA 2007. He has also organized numerous workshops in his areas or research.